The upcoming spring sunshine will mean much more at Wolfe’s Neck Center this year. 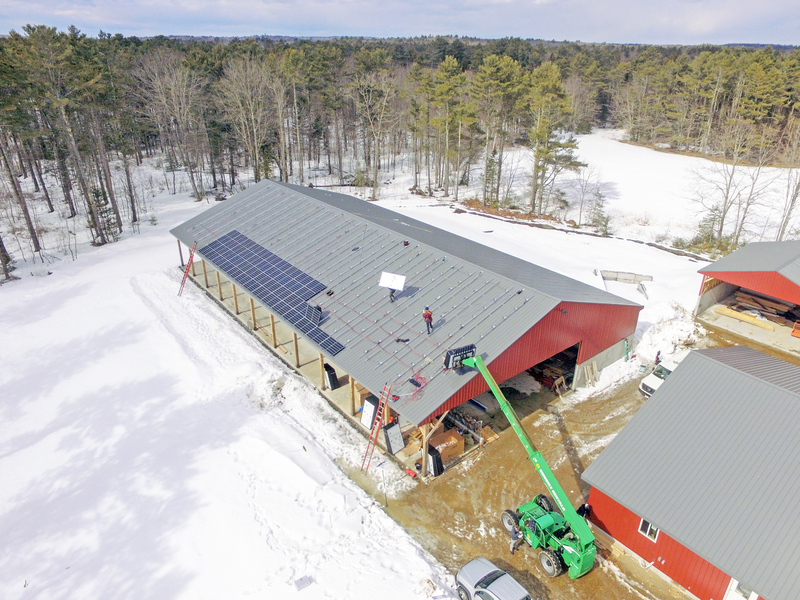 This March began the installation of two large solar projects on the campus: one at the site of the new organic dairy facility and the other on the Pote Barn, which was renovated in 2017. With the completion of these two projects, WNC will become 50% solar-powered, with an end goal to be entirely solar-powered in the next few years.